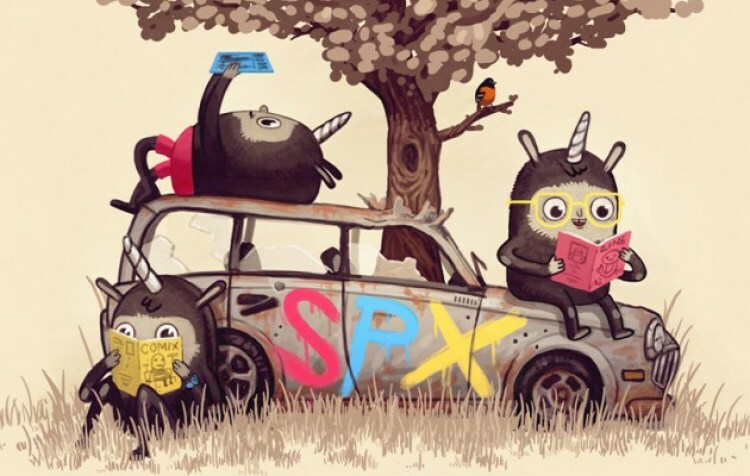 So Keith Silva, Chase Magnett, and I went to the Small Press Expo in Bethesda, MD this past weekend and the three of us were suitably impressed by all that went on there. We wrote about it for Comics Bulletin. Right after the Ignatz awards, SPX Exhibitors Coordinator Sam Marx said to me something to the effect of how walking around the floor on Saturday made him wonder how anyone could possibly still be talking about the lack of diversity in the medium. He said something like, “If you are complaining about representation in comics, you’re reading the wrong books.” I couldn’t agree with him more. It makes me wonder why anyone still even bothers reading books from Marvel or DC looking for characters and situations that reflect our modern world. Those are books that have been telling the same story over and over again for over half a century. The world has changed significantly in that time, yet that song remains the same. At SPX, though, you grab hold of the zeitgeist, the now. There you have creativity unfettered, voices singing the song of ourselves, pure and loud and strong. Ensconced in that conference hall there in Bethesda were all the stories still to be told about everyone and all of us and people you have only yet to meet.